The most perfect appetizer for any type of gathering! Only THREE ingredients, ten minutes of your time and guests will be raving! Today is Martin Luther King, Jr. day, hence no school or work. Dan and I brought the boys to Grandma's house for a few hours and sneaked away to see a movie (a rare but cherished treat!). Have you seen American Sniper yet? I can say with all honesty that it was one of the best, but also one of the most heart-wrenching and saddest movies I have ever watched. This is Week #45 of my 2011 cooking challenge! Click here to view all recipes from this challenge. All recipes created for this challenge come from the Food and Wine Annual Cookbook 2010: An Entire Year of Recipes. You all know about my love for salads and vegetables, but I have another love to confess: sandwiches. One of my long-term goals is to write a sandwich cookbook because there are endless options when it comes to stacking ingredients between two pieces of bread. One of my favorite and most indulgent sandwiches is The Reuben. Mmmm, is there anything better than sauerkraut with corned beef and dressing and cheese? So needless to say, I have been very excited to make this recipe. I was very pleased with the outcome. This sandwich is a new favorite! Let stand, tossing occasionally, until softened, 30 minutes. Heat a griddle (or Panini press). Arrange four 4x6-inch focaccia pieces (split) on a work surface, cut side up. Slice eight 1/4-inch-thick slices of Gruyere cheese (4 ounces). Set aside 1/2 pound thinly sliced corned beef. Spread outsides of focaccia with butter and place on the griddle. Cook over moderate heat until the cheese has melted and the focaccia is crisp and golden, 6 minutes. Halve the sandwiches and serve immediately. Get ready to have a new favorite sandwich! In a bowl, toss the cabbage with the vinegar, sugar and salt. Let stand, tossing occassionally, until softened, 30 minutes. Heat a Panini press or griddle. Arrange the focaccia on a work surface, cut side up. In a small bowl, combine the ketchup with the mayonnaise. Spread the dressing on the bottom halves of the focaccia. Set a slice of Gruyere on the dressing. 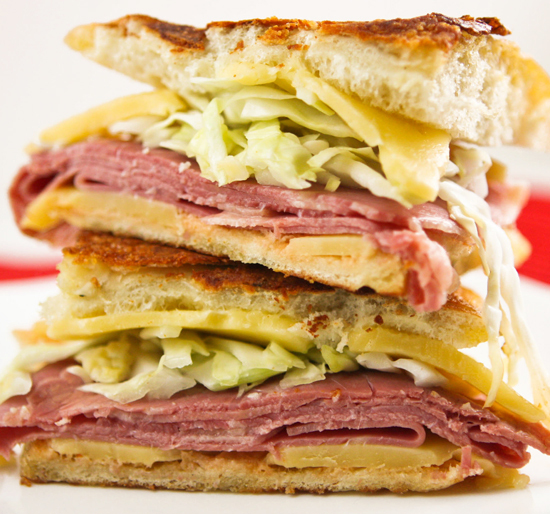 Top with the corned beef, pickled cabbage and the remaining slice of Gruyere. Close the sandwiches and spread the outsides of the focaccia with the softened butter. Add the sandwiches to the press and cook over moderate heat until the cheese has melted and the focaccia is crisp and golden, 6 minutes. Halves the sandwiches; serve right away. A popular sandwich, the Reuben is perfect as a dip too! Supremely addicting, and really easy to make with two kinds of cheese, corned beef and chips or crackers! Sure to be a crowd favorite! 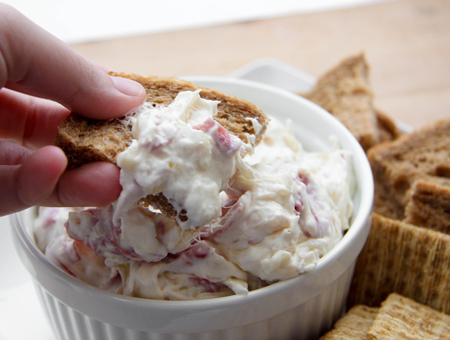 I have seen at least a dozen different variations of reuben dips, and I have made a handful of them. A few years ago, my supervisor brought this variation to a work gathering and it was by far the best I had ever tasted. I begged and pleaded for the recipe, and she gave it up! My husband and I make it a couple times a year and every time we do, it does not last long. It is supremely addicting! 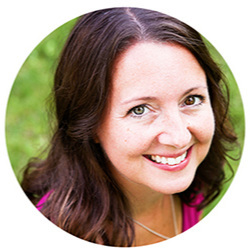 Love the recipe, but don't want the fuss? 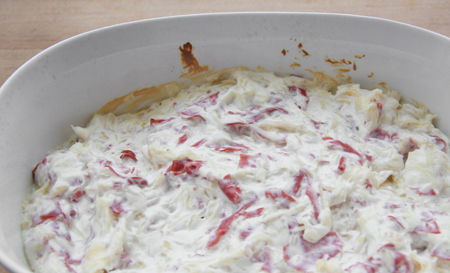 Check out this Crockpot Reuben Dip recipe. Just throw in the ingredients and walk away! Either way you choose, your taste buds will not be disappointed! And throw it into a lightly greased baking dish. Cook in preheated oven for 15-20 minutes. My favorite thing to eat this dip with is bread. Pumpernickel, rye or even pump-rye are my favorites. Crackers work, too. Or just a large spoon. Supremely addicting! Sure to be a crowd favorite! Preheat oven to 350 degrees F. In a medium bowl, combine: (2) 2 oz. 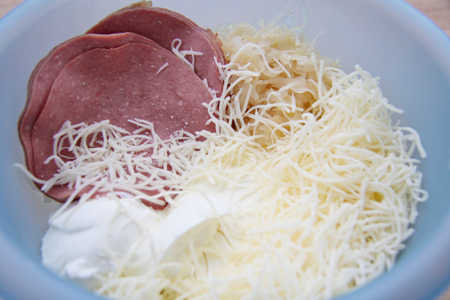 packages Buddig Corned Beef (it's easier to chop the slices up beforehand) 1/2 cup saurkraut, 1/2 cup sour cream, 1 cup grated swiss cheese. Mix well. Place all ingredients into a lightly greases baking dish. Cook in preheated oven for 15-20 minutes. And serve!